and it is also used for a variety of other infections and can be given in a powerful intravenous form in the hospital as well as in pill form for people to take home with them. Just like the Side Effects of Cipro, its close cousin, the Side Effects of Levaquin are many and varied. They range from people having no side effects, to the mild nausea that can accompany any and every drug that is prescribed- all the way to debilitating and life-changing side effects that can put you in a wheelchair for life. Even though the numbers of people that get these devastating side effects of Levaquin is small- there is just simply no way of knowing WHO is going to be affected by them- and several other Quinolone Antibiotics have been pulled from the market for causing serious health issues. So, could it be YOU who gets these serious side effects of Levaquin? While the article entitled the Comparison of side effects of levofloxacin versus other fluoroquinolones claims that Levaquin has the lowest rate of Adverse Drug Reactions (ADR's) compared to the rate of side effects of OTHER fluoroquinolones, this doesn't mean that the rate is necessarily 'low', only low "in comparison" and certainly a 'low' rate doesn't tell you anything about the severity of those problems that do occur. excess of 40%...and a number of listed fatalities. We find these same numbers with all the NDAs for this class. 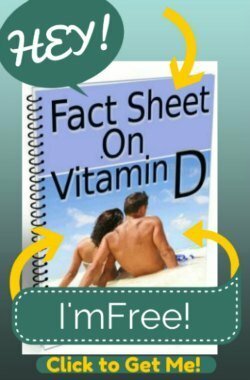 was first revealed to the FDA back in 1982 (bailey et al)." One of the most controversial and most debilitating side effects of Levaquin is tendon pain and/or even tendon RUPTURE! While this sounds crazy and improbable- it is so prevalent that there is an FDA Black Box Warning, the strongest warning possible- on Levaquin to warn of Achilles Tendon Rupture and Levaquin Tendonitis! The problem with Levaquin Tendonitis is that cytotoxicity from the Levaquin antibiotic doesn't -just- damage tendon. Researchers aren't exactly sure how Levaquin damages connective tissue, but it appears that fluoroquinolones actually damage the DNA structure of the tendon and possibly other connective tissues as well- which can cause pain and weakness throughout the entire body- and even be mistaken for Symptoms of Fibromyalgia. 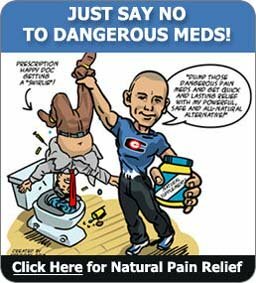 While we've developed an intensive program called the 'Levaquin Tendonitis Solution' to help people suffering from this problem, it can be EXTREMELY damaging and we are doing are best to teach people how to avoid this problem entirely. While some people seem to heal spontaneously, others have pain, weakness and many other symptoms for LIFE. 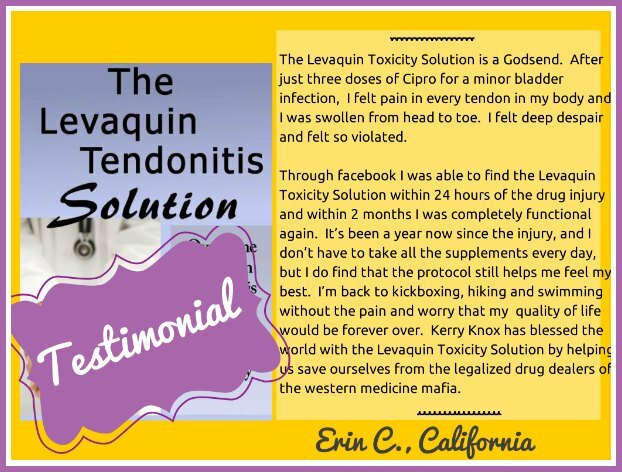 For more information on this topic see Levaquin Tendonitis Treatment page. One of the most deadly side effects of Levaquin is a condition called Prolonged QT Interval. This is an extremely subtle, yet potentially deadly heart rhythm that can lead to Sudden unexpected death from heart changes. This is NOT like a 'heart attack' where you get chest pain, sweating and other heart attack symptoms. This is the same condition that causes teenage athletes to suddenly die while playing basketball for no apparent reason. While this Levaquin Side Effect is EXTREMELY rare, again, there is absolutely no way of knowing ahead of time who is going to be affected by this deadly problem. One common, but very subtle Side Effect of antibiotics that most people are at least somewhat aware of are their ability to kill off the Good Bacteria in the digestive tract. Many women experience these side effects of Levaquin as a vaginal candida infection. But a vaginal infection is only the most NOTICEABLE problem. Every single time that anyone takes antibiotics, it kills off a portion of the good bacteria in the intestine and leaves 'bad' organisms to flourish in their place. One of these 'bad' bacteria can lead to a condition called 'Antibiotic Colitis' that is due to the overgrowth of a bacteria called 'Clostridium Difficile'. A C Difficile Infection can lead to diarrhea, bloody stools, stomach cramps, fever and even intestinal damage. These Levaquin Side Effects, which are often not recognized by doctors, can even occur MONTHS after you have finished your antibiotics and lead to chronic digestive problems that can go unrecognized for years and even require surgery to correct!! This Levaquin antibiotic side effect is easy to avoid. Read the C Difficile Infection page to find out more about how to avoid and get rid of these common Levaquin Side Effects. Other Side Effects of Levaquin include aches, pain, stiffness, headaches, constipation, dizziness, diarrhea, nausea, sensitivity to sunlight (photosensitivity), and blood sugar level changes. Bronchitis: Bronchitis is nearly always a viral infection that will not respond to antibiotics! An alternative to these potentially unnecessary antibiotics for bronchitis is to stay at home, rest and drink fluids. You can always see your doctor and take antibiotics if it gets worse, but for most people- antibiotics for simple bronchitis is unnecessary and is NOT indicated. Urinary Tract Infections: While these ARE bacterial, a natural substance called Vibrant Health Mannose and Botanicals U.T. Vibrance Crisis Intervention Formula has properties that prevent the bacteria in the bladder from STICKING to the bladder walls. The bacteria can't grow in the bladder and can be completely eliminated in 24 to 72 hours. There is just virtually no reason to take antibiotics for simple uncomplicated urinary tract or bladder infections when you can at least try out D-Mannose for a day or two first. Sinus Infections: Are most often NOT bacterial and do NOT respond to antibiotics anyway. Using a device called a Neti Pot that irrigates your sinuses can improve drainage and help to relieve sinus pressure. With the risks of side effects of Levaquin such as sudden death and Levaquin Tendonitis are EXTREMELY SMALL, they are 100% if it happens to be you or your family that is affected. With more and more researchers and doctors recommending antibiotics only for life-threatening conditions, only you can decide if the risk of Levaquin Side Effects are worth the benefits. If you have symptoms of Levaquin Tendonitis or other side effects of Quinolone antibiotics, tell us your story or ask your question. Whether it's funny, sad, tragic or heartwarming- we want to hear it!! IMPORTANT: You MUST leave your email address in order to get a response!!! I promise, it will NOT be shown nor will it be used for any other purpose! Title Here- You MUST leave your email in the BODY of your submission!! Are My Vision Problems from Taking Levaquin? 3 1/2 year delayed Levaquin reaction?